Drovers Retreat is our sympathetically converted 19th century stone barn at Graig Farm, in the Welsh Marches. It offers self-catering accommodation for up to four people. A sofa bed is also available, and a travel cot and high chair are available on request. Feel close to this history and tranquil landscape. 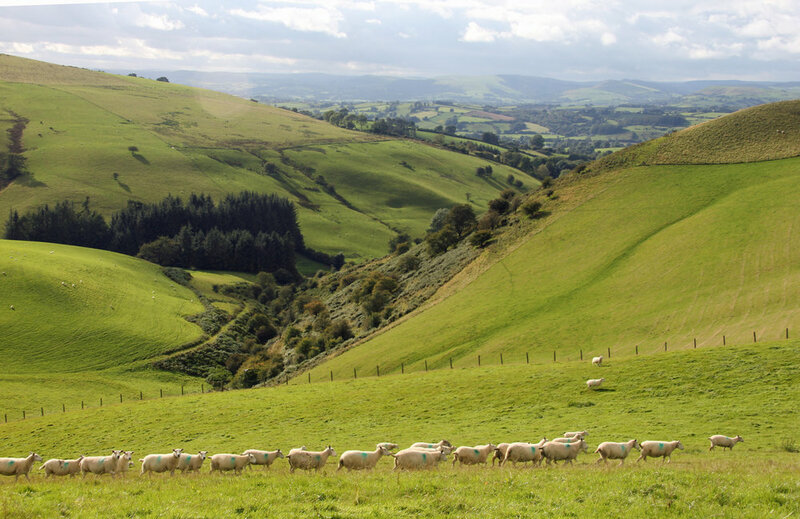 Walk or cycle the green lanes, forest tracks and footpaths; listen to the sounds of nature and livestock, or just breathe the clear upland air. Red kites and buzzards circle above on the thermals with their evocative cries, whilst sheep graze in the fields below. Relax and unwind to soak up the solitude and majesty of nature at our exclusive and unique location, whilst still enjoying all the family luxury and conveniences you require in a haven of peace. Then explore the local market towns and picturesque villages. A very brief, but wonderful stay at Drovers Retreat. Very peaceful and wonderfully appointed. Thanks for a lovely relaxing few days. The cottage is cosy, well equipped and perfect for country walks with our dog! Thanks a lot for your warm welcome. The house and decoration has a lot of character, personality, and the environment breathes history. It all fits together, which makes Drovers Retreat such a unique place.